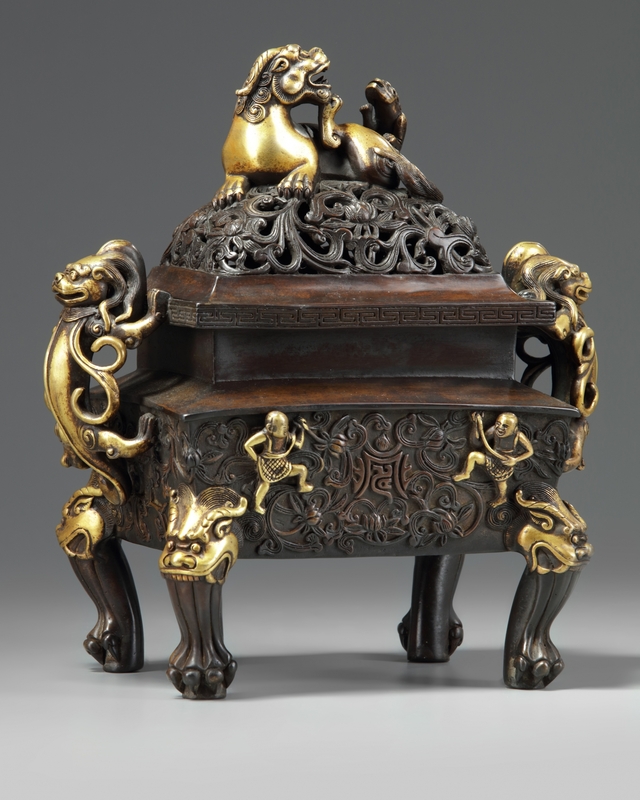 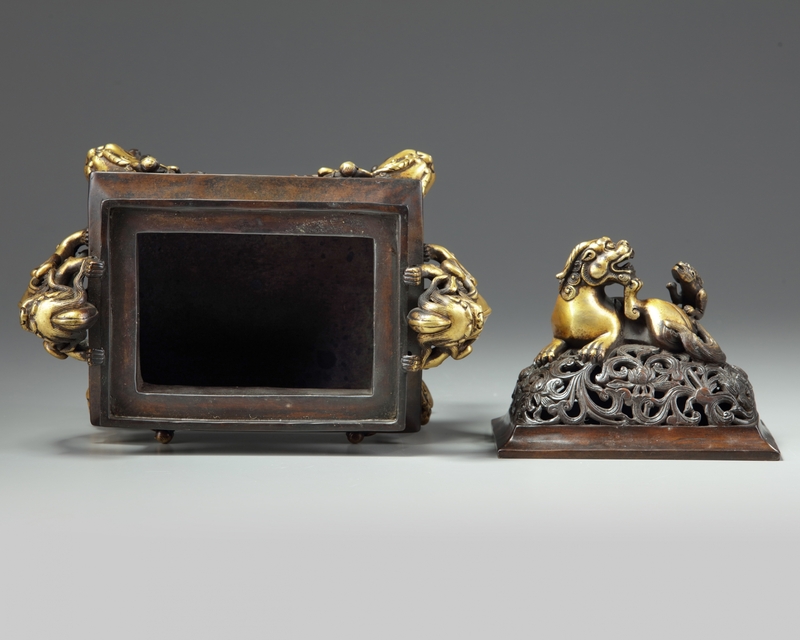 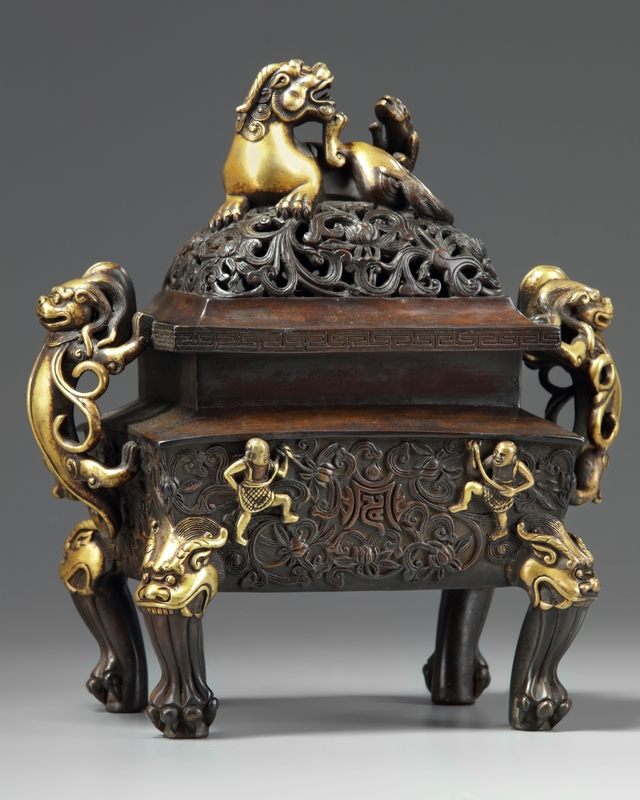 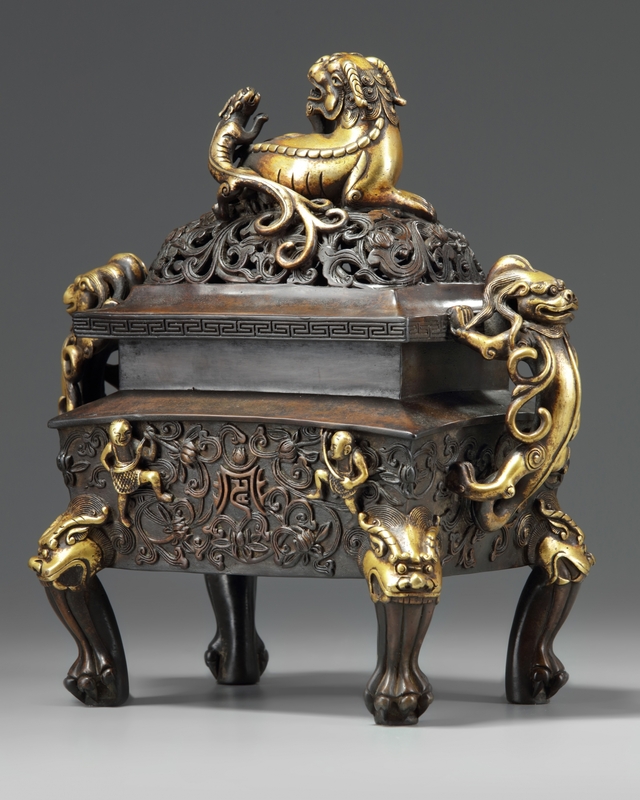 The rectangular censer stands on four feet surmounted by beast heads, the sides decorated with two qilin handles. 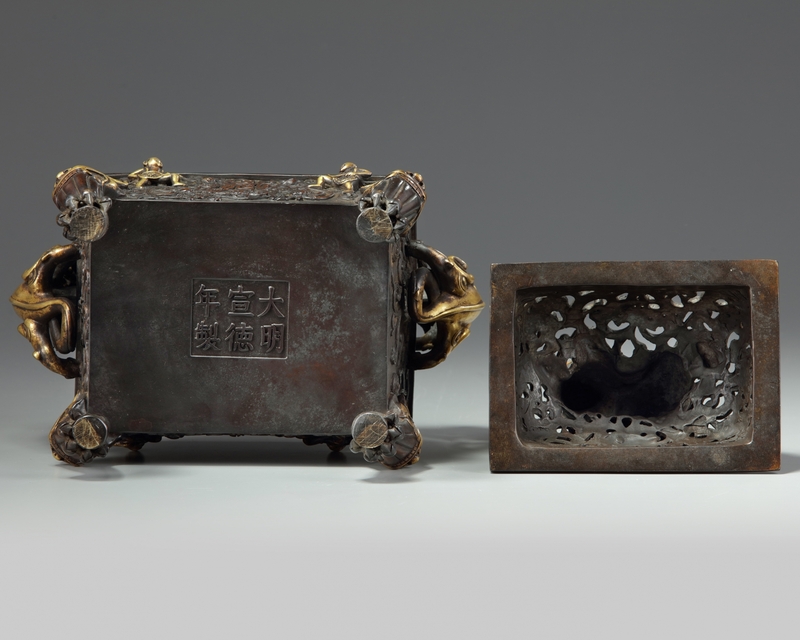 The sides are decorated in relief with two boys flanking a stylised ‘shou’ (longevity) character amongst flower scrolls. 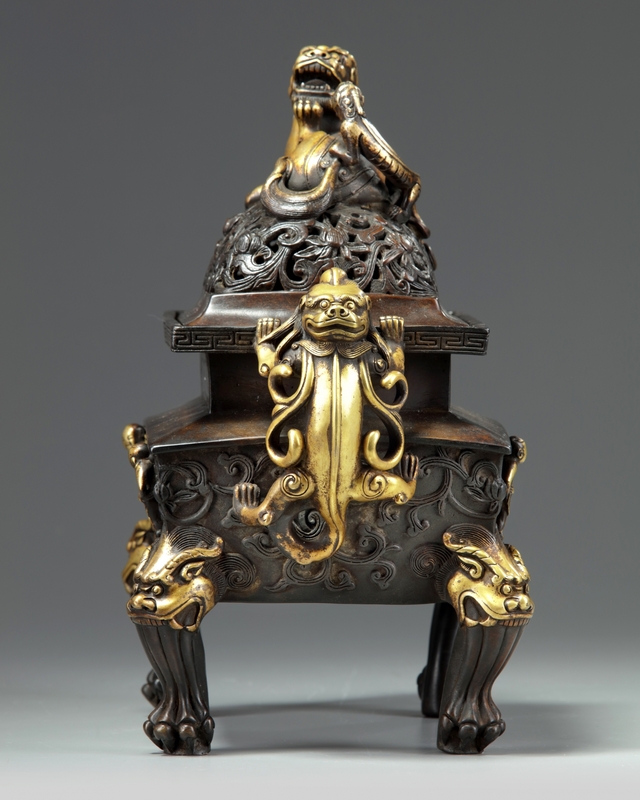 The base with an apocryphal Xuande mark. 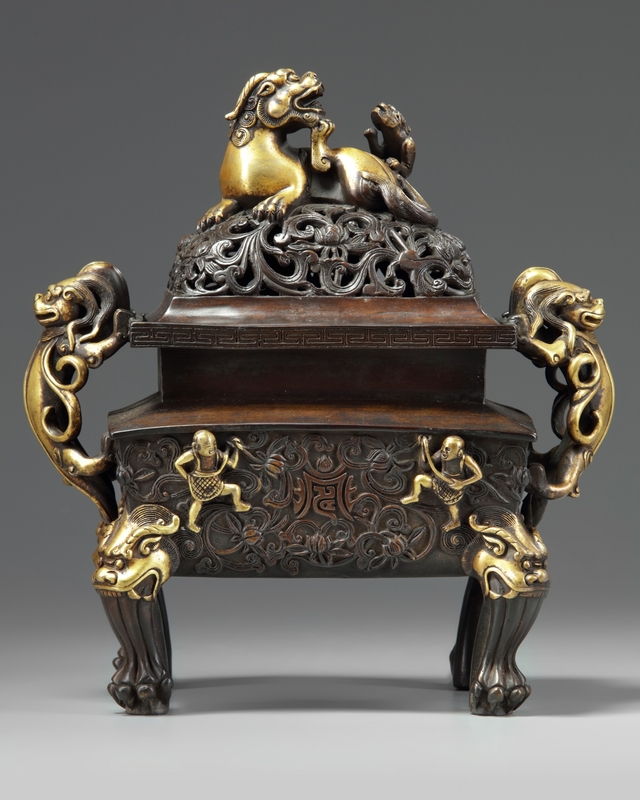 The openwork cover is decorated with flowers and is surmounted by a qilin and cub finial.